Note that on x64 versions of Windows there are two versions of the ODBC connections (tool): an x86 (32 bit) and an x64 (64 bit) version. 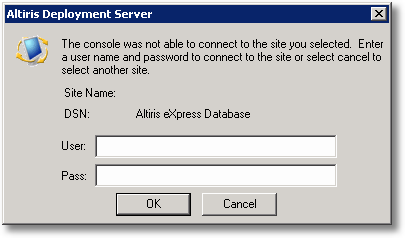 And even worse: the HP Installer does a silent install of Altiris DS but hides this error for us and just reports success! 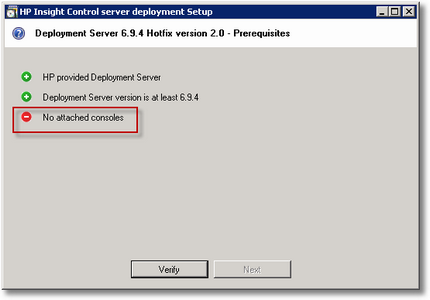 My next step was to do a manual database install, this can be done by starting hpfeatures\ds\Server.exe. Database installer is unpacked to a subfolder in %temp% (in my case %temp%\apt1) it may be convenient to save this folder. I looked into the install folder and noticed there were several .sql files (sql server scripts) and osql.exe. osql is a commandline tool that can execute sql statements and it can import .sql files. Launching the supplied version of osql indicated that it was unable to connect to SQL at all. I did a guess that the problem was the instancename: even though you select Default Instance when installing the instance name is SQLEXPRESS instead of MSSQLSERVER (which is used in the full product). I did a reinstall of SQL Express using a custom instance name of MSSQLSERVER and now osql could connect (it asked for credentials). I reran the Database Install and now it worked. 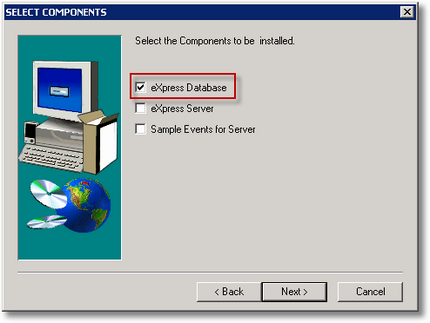 In the end I am not sure if this error only happens when using the HP Branded version of Altiris or only when using SQL Express WITH advanced services but I hope this article will help you troubleshoot similar issues.